I’m a big fan of fruits in any form: fruit salad, smoothie or just fruit by itself. 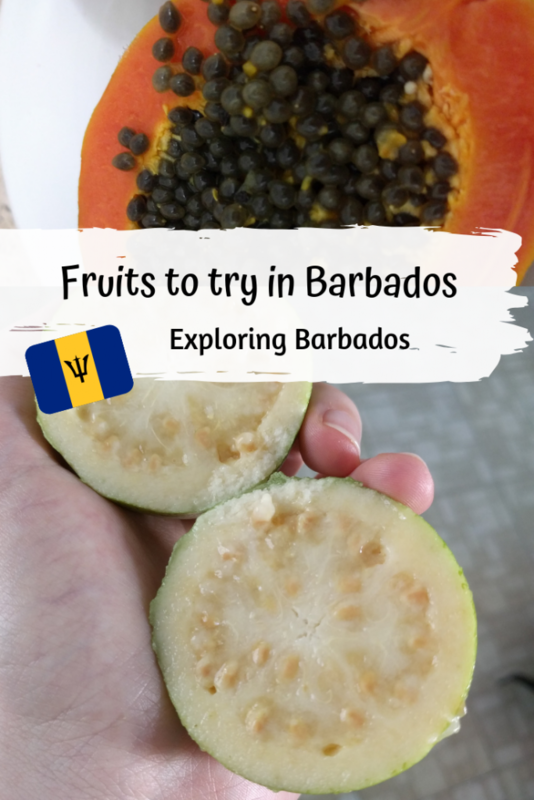 As you can imagine one of the reasons I was excited to go to Barbados was that I got to try exotic fruits I never tried before and ones that I already knew and liked but had never eaten fresh. The great thing about Barbados is that you can get fruits not only in the supermarket but also from little market stalls around town or next to the street. So here’s my top five fruits you should try next time you are in Barbados. I have to admit I had to google how to eat a guava first. To save you time, you don’t have to peel it. Just bite into it like an apple or chop it up into pieces. 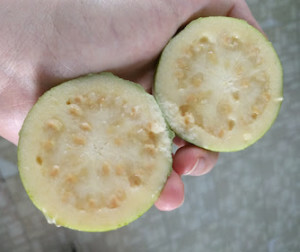 While the outside is firm, the inside of the guava is soft with crunchy seeds. It’s definitely one of my favourite fruits, juicy and vaguely reminding me of pears. I have to admit, not remembering what exactly a papaya looks like I was quite confused when I was asked if I wanted what sounded like “popoia”. It’s clear now, looking back that it sounds like a likely English pronunciation of the word but my mind was only thinking “Popeye-what?” Eager to try new things, I agreed, secretly hopping it wasn’t the brand name of spinach here. 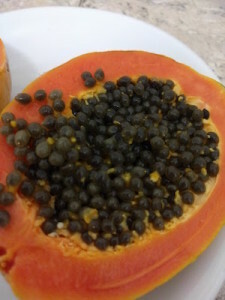 A ripe papaya tastes soft and mellow. 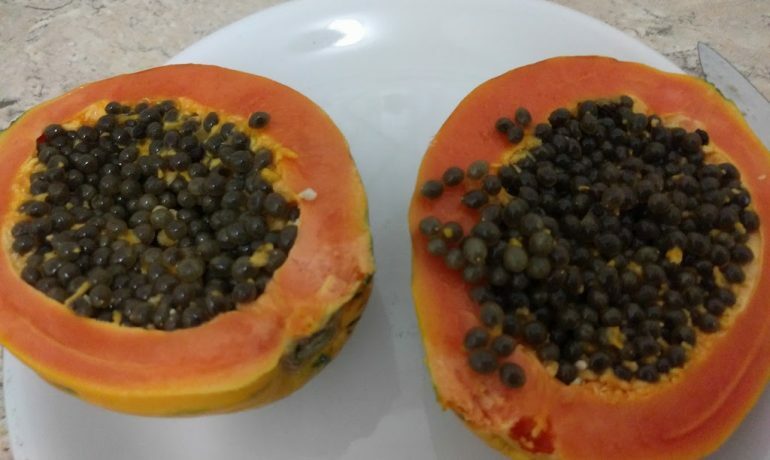 From my own experience, though, don’t eat the peel or seeds because they taste very bitter, a bit like cress. 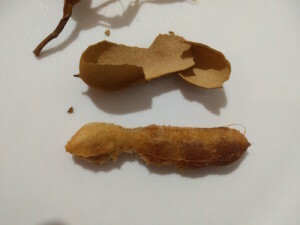 Although I had heard the word tamarind before and seen it in recipes, I hadn’t know what it looks like or that I had been walking past many trees that it grows on. If you’re in a similar situation, let me warn you there are multiple seeds in each pod. There is actually more seeds than fruit, which tastes citrusy, with a lingering sour taste. No matter where you’re from, you’ve probably tried bananas before. 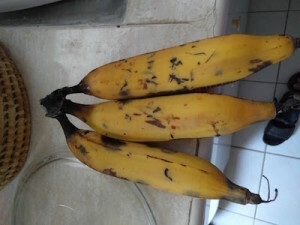 However, I never had a fresh ripe banana before. It tasted surprisingly mellow and less acidic than bananas you can buy in Austria. As someone from a Central European country, I was quite amazed by the variety of bananas and how sweet fresh bananas actually taste. We know these are plantains. That’s how many types of bananas there are. I took so many pictures of different types, except normal bananas! 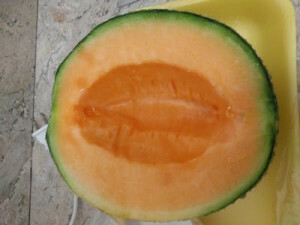 The cantaloupes taste as nice and juicy as you may expect. I mainly included melons on this list because watermelon is one of my favourite summer fruits on hot days. Since every day is a hot day in Barbados they’re the perfect fruit to eat whenever you want to cool down. 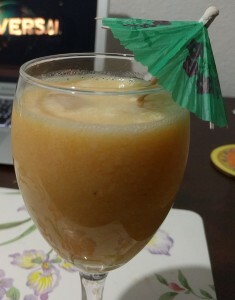 And if, like me, you ended up buying too much fruit to eat during your stay, why not make a smoothie? If you have any rum left over, you can add that too, especially white rum.